Western Film Series Presents "The Rider"
The Rider (directed by Chloé Zhao, 2017). Film will be introduced by Dr. Alex Harmon, Assistant Professor of American Studies, Montana State University. 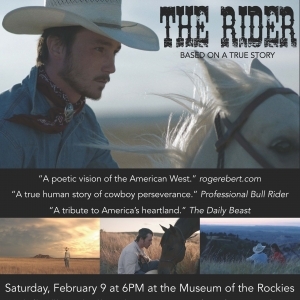 All films are at 6PM the Hager Auditorium at the Museum of the Rockies. Doors open at 5:30PM. A catered reception will follow each film in the Museum’s Blair Lobby. 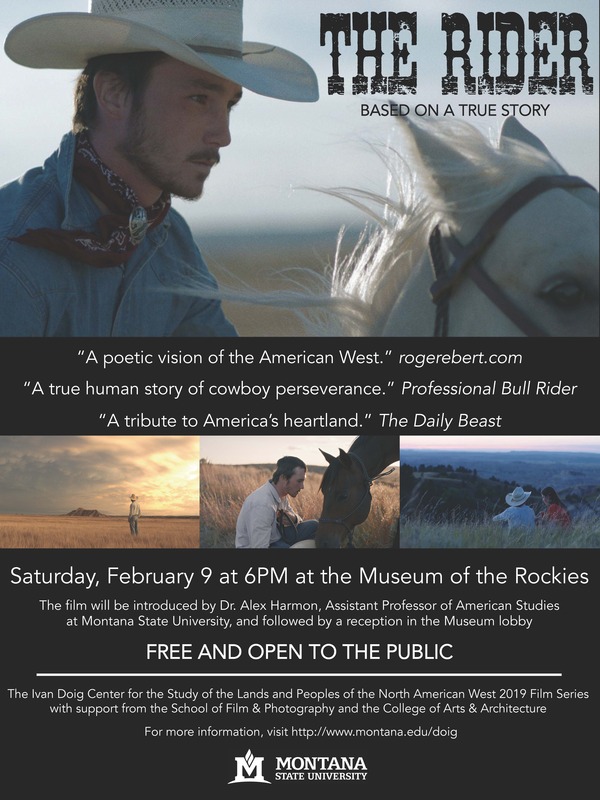 The Western Film Series events are co-sponsored by the Ivan Doig Center for the Study of the Lands and Peoples of the North American West, the School of Film and Photography, and the College of Arts and Architecture.